(CBS) NEW YORK - Police charged Rondell Pinkerton, 17, and Courtney Kelly, 26, in the shooting death of 4-year-old Lloyd Morgan, who was caught in crossfire at a Bronx charity event, CBS New York reports. Pinkerton was charged with murder and criminal possession of a weapon early Wednesday morning, according to police. Kelly also faces weapons charges. Police Commissioner Ray Kelly said Pinkerton admitted firing shots during a charity basketball game on Sunday in a Bronx neighborhood as Lloyd Morgan was playing at a playground nearby, CBS New York reported. 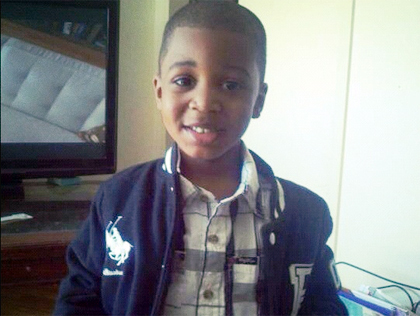 The little boy was caught in the crossfire - shot in the head, and killed. According to the station, police said at least three guns were involved in the shootout. Investigators recovered shell casings from a .25 caliber handgun, and .380 caliber handgun and a .45 caliber handgun. "It's obviously a very sad situation," Kelly said. As police continue their investigation, Lloyd's mother is making funeral plans and preparing to bury her son. A rally and vigil was held late Monday afternoon at the basketball court where Lloyd was killed. "He wanted to be a basketball player someday and I just feel like, he probably could've been the next basketball player," said Shaniqua Williams, Lloyd's cousin. "But somebody shot him and he will never get that chance."